Data show that MABp1 has led to rapid improvement in skin lesions and acne-associated psychological symptoms. Crystal Research Associates has released a new Executive Informational Overview (EIO) on XBiotech Inc. (XBIT-NASDAQ), a company engaged in discovering, developing, and translating natural human immunity into novel therapeutic antibody products. 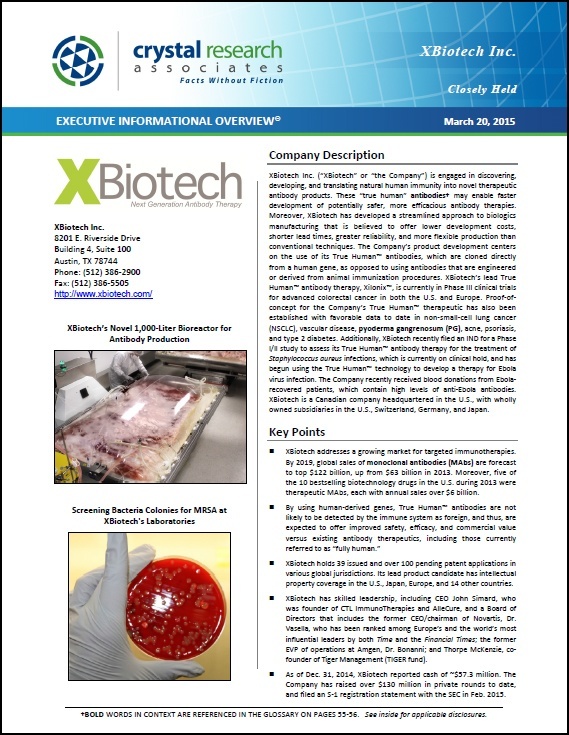 The 60-page EIO, which details XBiotech's business, technology and product development, manufacturing expertise, market opportunities, competition, and more, is available for download below.